Georgia's Defense Minister Irakly Alasania gestures during a NATO-Georgia defense ministers meeting at the Alliance headquarters in Brussels, Belgium. NATO will stop short of approving a formal step to membership for Georgia at its summit in September, officials said Wednesday, dodging a possible confrontation with Moscow over the alliance's expansion to Russia's neighbors. NATO members agreed in principle to draw up a "substantive package" of cooperation with Georgia that would help it move closer to NATO, Secretary-General Anders Fogh Rasmussen told reporters at a meeting of alliance foreign ministers. But that falls short of an invitation to join NATO's Membership Action Plan, or MAP, — a formal step towards membership — that Georgia, which fought a brief war with Russia in 2008, had hoped for. Putting Georgia on a path to NATO membership would have angered Russia, which is deeply hostile to the Western military alliance advancing into former Soviet republics, and some allies feared it could provoke Russian retaliation. Welcoming Georgia into the alliance would mean NATO could be obliged to go to its defense in the event of another war with Russia. And with NATO-Russia tensions running high after Moscow's annexation of Ukraine's Crimea region, any invitation to Georgia to join the MAP has become even more of a political hot potato. Russia, which has said that its annexation of Crimea in March was influenced by the Western military alliance's expansion into eastern Europe, has made no secret of its opposition to its neighbor Georgia joining NATO. Although Rasmussen insisted that "NATO's door remains open" to new members and that no other country had a veto over NATO enlargement, NATO diplomats said the standoff over Ukraine did influence the debate. Some allies, particularly in the Baltics and eastern Europe, said NATO should send a tough message to Moscow by inviting Georgia to join the MAP -— a program of advice, assistance and support tailored to countries wishing to join the alliance. Montenegro's hopes of receiving an invitation to join the alliance at September's summit in Wales were also dashed, with NATO delaying a decision on whether to admit the small Balkan country until next year. NATO diplomats said the 28 members of the alliance were divided over both Georgia and Montenegro. Whether to invite Georgia to join the program has been controversial since the question split the alliance at a 2008 summit in Bucharest. At that time, NATO allies, led by France and Germany, rebuffed U.S. demands that Georgia and Ukraine be allowed into the MAP while promising the two ex-Soviet republics would join NATO one day. Ukraine later dropped its goal of NATO membership, but Georgia remains keen to join. Months after the Bucharest summit, Russia fought a five-day war with Georgia and later recognized two breakaway provinces as independent nations. 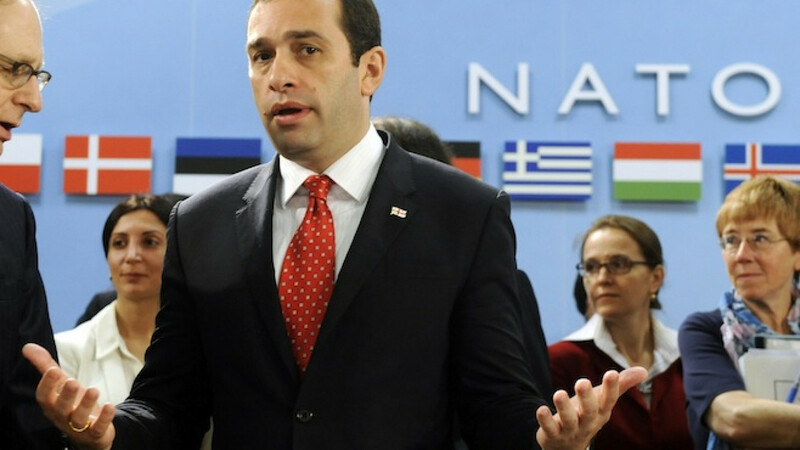 NATO diplomats said the U.S. did not push hard for Georgia to be invited to join the MAP this year, placing a higher priority on preserving alliance unity. Georgian Foreign Minister Maia Panjikidze said she was not disappointed about the lack of invitation. "Georgia will get a very concrete package, and it will help Georgia's further integration into NATO and will bring Georgia closer to … membership," she said in Brussels. The cooperation package Georgia will be offered is likely to include efforts to build military capabilities, training the armed forces and sending more defense reform experts to strengthen NATO's liaison office in Georgia. On Montenegro, Rasmussen said NATO would open "intensified and focused talks, and we will assess at the latest by the end of 2015 whether to invite Montenegro to join the alliance". The U.S., France and Germany were all reluctant to invite Montenegro to join now, believing the country still needs to carry out further reforms, diplomats said. NATO has been pressing for reforms such as reinforcing the rule of law, meeting NATO standards in security sector reforms and fighting corruption and organized crime.